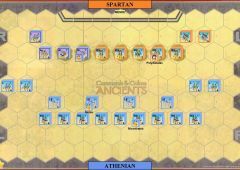 The Peloponnesian War (431-404 BC) was fought by Athens and its Empire against the Peloponnesian League, led by Sparta. 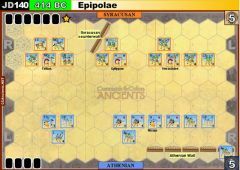 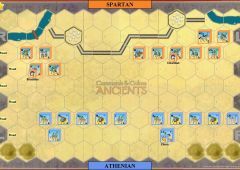 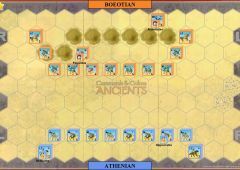 Each side fearing the power of the enemy, the Athenian fleet and the Spartan hoplites, the first years of the war did not see any direct battle. 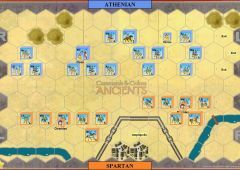 In 426 BC Athens took the offensive, though the shortage of men, due to the plague of 430-429 BC, and money limited the size and scope of the campaigns. 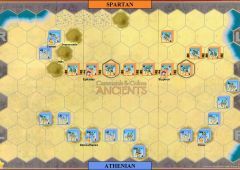 Demosthenes was elected general and, with only 30 ships and a few marines and archers, was sent to help the Athenian allies in the west. 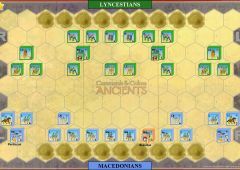 The Acarnanians wanted him to attack Leucas, and the Messenians asked for help against the Aetolians. 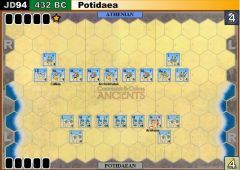 He followed the latter, seeing the possibility to conquer Aetolia with his few troops and the help of both Messenians and Acarnanians. 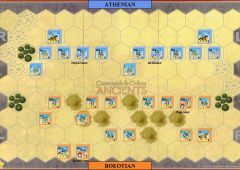 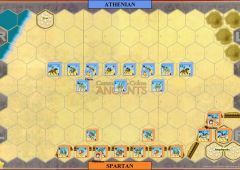 The upset Acarnanians, however, did not follow Demosthenes to Aetolia and the campaign ended in disaster, with heavy casualties among his allies and the loss of half of his men. 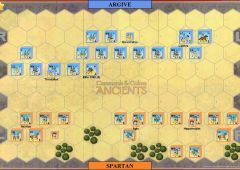 Demosthenes’ defeat encouraged the Spartans to send a Peloponnesian army of 3,000 hoplites under Eurylochus to the area, in order to bring it into the Spartan alliance. 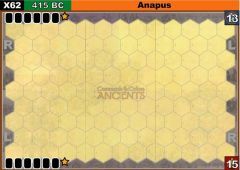 During winter the Ambraciots attacked Acarnania and occupied the fort of Olpae, and asked Eurylochus to join them. 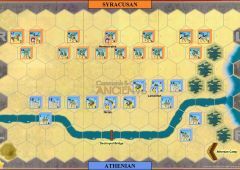 The Acarnanians asked Demosthenes, now a private citizen, to lead their army, and he came with a few Athenian and Messenian volunteers and set up camp in a ravine opposite Eurylochus, where both sides made preparations for five days. 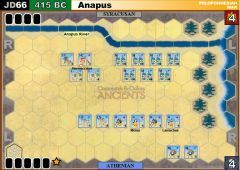 Finally, Eurylochus decided to move. 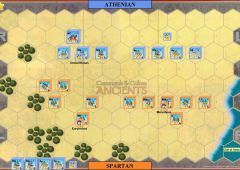 The troops joined battle, and the Spartans discovered that Demosthenes had used the previous days to prepare an ambush. 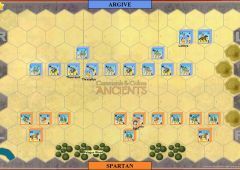 He left his right flank deliberately weak, allowed the Spartans to encircle him, and then ordered a hidden reserve to attack the Spartans, who panicked. 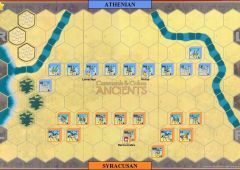 Demosthenes’ victory was complete. 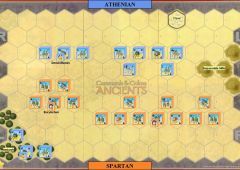 He offered the Spartans a safe passage and continued the war against the Ambraciots, so that no one in this region trusted the Spartans any more. 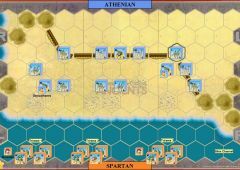 Demosthenes returned home as a hero. 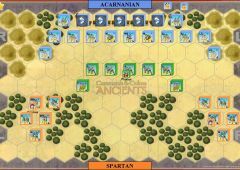 Ambush: at the beginning of any turn, before playing a card, the Acarnanian player can place the ambush units on any forest hex, where they will be able to receive orders (and be attacked) starting from that turn. 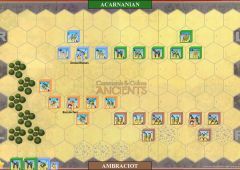 When these units arrive on the board, the Ambraciot player must discard 1 card, reducing his hand to 4 cards for the rest of the battle. 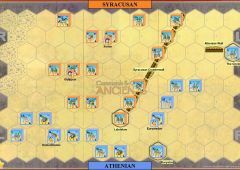 Before that, treat the forest hexes as impassable terrain.